In March and April, I took about 5 weeks off from social media. I didn’t post anything to or look at Twitter, Facebook, or Instagram. I’d wondered if I’d feel disconnected or feel some irresistible pull like an addict to their drug of choice. To be honest, I didn’t really feel any of that. I didn’t miss it at all. I wondered about how people were doing, but I didn’t miss the stream of microposts on social media. I still read blogs via my RSS reader, so it’s not like I was 100% disconnected. While away, I’d missed a bunch of kerfuffles on the Internet, missed some big events in the lives of my friends, and missed meeting up with a friend who was visiting Portland (who could have emailed me had they really wanted to get together). There were a few moments when something happened or I had a funny thought that I normally would have posted, but I didn’t feel a sense of loss from not documenting that moment. What I noticed more, especially when I returned, was that no one missed me. Maybe that’s the real lesson one gets from a social media fast. With a constant stream of information from people you know (and don’t), the absence of any one person isn’t really noticed. This became readily apparently when one of my close colleagues who frequently comments on my social media posts hadn’t even noticed I wasn’t online all that time. Ouch! There’s always other content to fill the void so that you don’t even notice there is a void. Does any one person really matter in all of that? I’ve been thinking about the tenuous nature of connection in the social media age. It’s so easy to lose people we love in the stream or to believe that because we’re “connected” via social media that we’re much more connected than we really are. About a month ago, my first love died of cancer. Allan was Danish and we fell in love while I was studying in Copenhagen 20 years ago. It was a love like I’d never felt before. While I look back on my other past relationships now and can’t see what I saw in former partners, Allan became the yardstick against which I measured every other relationship until I found someone else who was like him in so many ways. When Allan died, I hadn’t seen him in person in 10 years, but the thought of him not being on the earth anymore makes me physically sick every time I think about it. While I was on my social media hiatus, I missed the Facebook post where he shared that his cancer had taken a turn for the worse and I wish more than anything that I’d had the chance to reach out to him before he left this world to tell him how much I loved him. But I could just as easily have missed his post had I been on social media that day. The stream makes it so easy to miss the big important things in a sea of mundane, snarky, and funny posts. Everything — from a status update about lunch from an acquaintance to a post about a cancer diagnosis from a loved one — is weighted the same. Even after doing a major culling of my Facebook friends by over 50%, I still feel like I miss so much. I feel his loss keenly. I can trace so many things I do, care about, or believe now back to him. I can’t listen to certain music without thinking of him. And it feels like with his death some part of my own life died; the part that was that 20 year old girl crazy in love in Denmark. Without him to remember it too — to confirm how remarkable and rare that time was for both of us — it almost feels like it never really happened. And instead of there being a hole where he once was, Facebook seamlessly fills that empty space with cat videos, snarky animated GIFs, and baby pictures. Allan can disappear. I can disappear. You can disappear. And social media just fills a void I don’t want to be filled. I’ve been writing about missing the community that existed around blogging and my uneasiness with Twitter for 10 years now. I’m one of those old-fashioned weirdos who still uses an RSS reader. My husband and I both use Tiny Tiny RSS, which is installed on our server and functions just like Google Reader did. I still like subscribing to specific blogs or news sites and seeing content specifically from those places. I might discover something great on Twitter, but if it doesn’t have an RSS feed, I’m not going to follow it long-term. I’m a terrible multitasker so dipping into the stream throughout the day has never worked well for me (and I’m less close to old blogging buddies because of it to my great sadness). I miss too much. I take time each day to go through my RSS feeds and mark things I want to read more in depth for when I have time that week. In Twitter or on Facebook, I’ll see an article that interests me, but if I don’t have time at that moment to read it, I almost inevitably forget about it. Sure, I could use another tool to keep track of those things, but I don’t really want yet another tool to keep track of. There is a lot that we gained with Twitter and Facebook. That is undeniable. But I think it’s important that we look at what we lost and ask ourselves if it was worth it. I think of a social media company, in particular Facebook and to a degree Google, as an existential mafia. They’re saying, you have to work with us or you effectively won’t exist. You’ll become invisible to everybody. Your very corporeality is in our hands, so give us a cut of your being. It’s a very strange moment. Ultimately, the power of a protection racket does rest with their ability to keep a community in fear. It’s really worth reading the whole interview — a lot of food for thought on the compromises we feel we have to make to “exist” online in the Facebook/Twitter era. Other recently-published books on the subject include Siva Vaidhyanathan’s Antisocial Media: How Facebook Disconnects Us and Undermines Democracy and Stand out of our Light: Freedom and Resistance in the Attention Economy. Thinking about criticisms of social media (and there seem to be a lot of books coming out on the subject right now), I remember the early critiques feeling very elitist to me. Crowdsourcing is a myth and devalues expertise. Reading online is destroying people’s capacity for long-form reading and sustained thinking. Remember Michael Gorman and “the blog people?” There was a lack of recognition that crowdsourcing can sometimes create things no expert could create alone. That social media had the power to bring (and keep) people together. That it could help talented people be discovered. That it could bring attention to abuses of power and power social movements for change. That it can sometimes help people find their community and feel less alone. But I think recent criticisms recognize social media’s power for good while also acknowledging the very real potential for damage. Like the weaponization of social media by hate groups and Facebook and Twitter’s reluctance to do anything useful about it. The manipulation of the public for political gain or political destabilization. The easy proliferation of fake news. The paradoxical increase in loneliness all of this connectedness can engender. The passive “social snacking” that’s the social equivalent of bingeing on Twinkies and never quite fills your emotional tank. The pressures, performance, and sometimes narcissism involved in creating and curating a representation of yourself online. The rage-filled pile-on Twitter can become. The monetization of the minutiae of our lives and thoughts and the realization that our content was not as private as we thought it was. 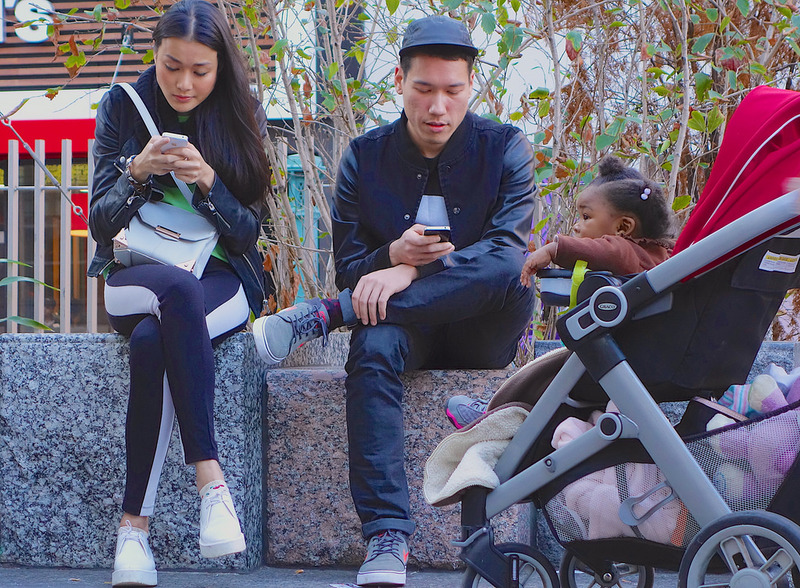 The time spent on screens away (whether physically or psychologically) from our loved ones. What was most frustrating about blogs was the distributed nature of the conversation, but moving to a centralized space destroyed the close sense of community, at least for me. In the move from blogs to the centralized ecosystem, what we gained in the ease of connection and the quantity of connections we lost in quality of those connections. And maybe I’m just old and cranky now, but what I want are deeper connections and conversations with people. We’re also giving ourselves — or at least our digital representations and content — to companies that don’t protect us in any meaningful way (from others or themselves). I want to go back to a world where we owned and had control over the means of production (if we wanted to self-host). I don’t like the atomization of our identities and our content. I don’t like how so many social platforms seem to exist to make the author — the source of the content — matter less even if it gets more people reading it. Authorship matters. I want to have deeper, more meaningful conversations via social media. There’s a lot of talk about the importance of mindfulness in our professional practice and personal well-being. In today’s social media landscape, maybe blogging is the “slow practice” we need to become more thoughtful, reflective, and intentional. In the wake of Kate Spade and Anthony Bourdain’s deaths, people are tweeting and writing on Facebook that “you matter” and yet our choices of social media often make the individual matter so much less. The challenge would be for people to build better infrastructure that facilitates following blogs, following the distributed conversation across blogs, and making connections via blogging. We managed it in the early days of social media — could we do it now? What would a humane, supportive, social networking platform/ecosystem look like for you? What is needed to make that happen? What is missing from your current social media diet? What would you not want to lose from Twitter/Facebook/Instagram/whatever? I know there’s no going back, but I also think we need to remember that we’re not stuck with Twitter, Facebook, etc. We can move forward. Thanks for this post, Meredith. It resonated with a lot of things I’ve been thinking about since I returned to blogging. I hope that as we learn more about how the digital platforms are exploiting and contaminating the well, and as we gain greater perspective into the value of owning our own platforms, we’ll see more of this rebalancing. Thanks also for all the links – I’ve been able to add some more blogs onto my RSS reader. So glad you’re blogging again, Morgan!!! Subscribing right now. I remember reading you back when I’d just started blogging so it feels like coming home again. It’s funny, because I didn’t read blogs 10-15 years ago, but I do now. I guess I’ll never know what I missed. Back then it was mostly e-lists, so far as I knew. I started a Twitter account a couple of years ago, and I still don’t get it at all. I basically keep it just to push out my blog posts (I still get a fair number of hits from Twitter), but I never login to my account or read it. For about a year, I tried having it open while I did other things, but it was constantly annoying me with “notifications” because someone had Tweeted (of course they did! who cares?). Productive discussions can’t take place in a context of distraction. Yes. This… I’ve been thinking about this so much for the past few years. Thanks for your insights and conversation!